It's 4xForth Friday and today we're highlighting our second newest intern at Forth Chicago, Katie Kenney! Katie is a recent graduate from the University of Notre Dame and a business + systems integration senior analyst at Accenture. Her amazing spirit has already brought new and exciting energy to the team and we're absolutely delighted to have her! Today Katie chats about places she frequents in Chicago, where she'd like to travel, favorite apps, and the women who inspire her. Read all about her favorite picks below. 1) El Camino de Santiago: This one's at the top of the bucket list. I love the idea of walking across Spain and meeting people from all over the world along the way. 2) Sante Fe, NM: this is a pretty recent addition. My job allows me to travel frequently on the weekends so I'm going to take advantage and cross New Mexico off the "States to Visit" list. The goal is to visit all 50 states...and I kind of just want an excuse to listen to Santa Fe by Beirut on repeat. 3) Camp Wandawega: I heard about this place earlier this year and it sounds like the perfect weekend escape. No cellphones, TV or even heat...just some good friends, old-school camp activities, a fire and some s'mores (of course). 4) A Frank Lloyd Wright House: I've recently become pretty interested in architecture and design and found out you can rent out some of his homes in the Midwest for the weekend (!) and at a decent price (!!). 5) Dublin, Ireland: This city has my heart. I have to live here again at some point in my life..putting that out there right now so that the universe can start to work its magic. 1) The Bagelers Coffeehouse: This place opening up down the street from me was a godsend. I like to do work here on Fridays and I'm officially a regular. 2) Homeslice: My go-to. Their patio is my favorite and I especially love the converted airstream trailer, Chicago lights and their reminder to "Be Awesome" (go & you'll see what I'm talking about). Cool vibe, lots of good pizza combos and the best place to take advantage of the shampoo effect on the weekend. 3) Protein Bar - The baja salad = muy bueno. I basically love every single thing on the menu here. 4) Hard Pressed - With limited time in Chicago on the weekends (I travel to Minneapolis for work Monday-Thursday every week), I'm all for efficiency - HP does 30-minute strength training workouts so I'm in and out. 1) Ethel Kennedy: I watched a documentary about her, RFK and their family (called 'Ethel' I highly recommend!) She's hilarious, strong, spunky and doesn't take life too seriously. Plus, has lived through some pretty amazing moments in history. 2) Brene Brown: Her book, Daring Greatly, is on my nightstand and I love everything she has to say about vulnerability. 3) Arianna Huffington: she's a badass business lady who just rocks at life in general. Loved her book, Thrive. 4) Rachel Brathen: She has such a great outlook on life and pursuing what makes you happy. 1) Postmates: On-demand delivery service for pretty much anything you need (food, dry cleaning, toothpaste) Breeding laziness? Genius? Both. Cause sometimes you're craving Chipotle guacamole, but don't want to pause The Newsroom. 2) Podcasts: so I'm pretty late to the game on this one but it's my new life changer! I'm at the airport twice a week so to change it up from my Spotify playlists every once in awhile I've started listening to podcasts. My favorite right now is Ira Glass's This American Life. 3) Venmo: pay your friend back for the cab or that dinner in the same amount of time it takes you to send a text. I haven't used cash or the ATM in...I can't even remember the last time. 4) Headspace: This is a meditation app that's aiming to make mindfulness mainstream. Ten minutes in the morning clears my head and is a great way to start the day. Thanks for sharing, Katie! Your energy and enthusiasm has already inspired me and I sincerely cannot wait to work side-by-side with you during our time with Forth Chicago. I think we should plan our next intern meeting with a side of The Newsroom or This American Life (as they are also favorites of mine!) and as for the upcoming Yoga+ event, I'll see you there, sister! 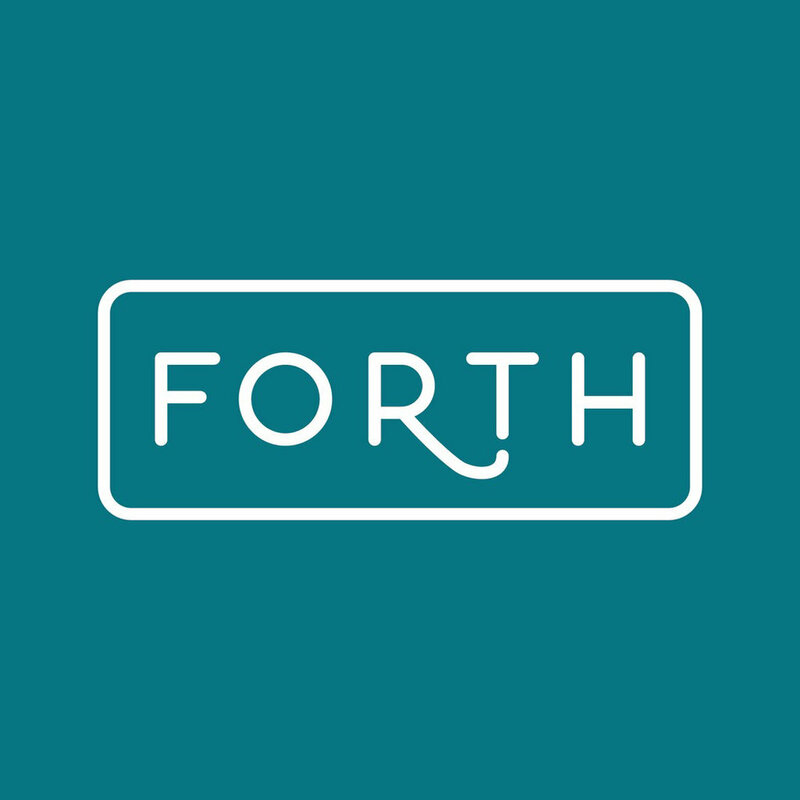 Follow Katie on Twitter, Facebook, Instagram and here, at Forth Chicago!